Round dining table is ideal for holding an intimate dinner with family members or guests. 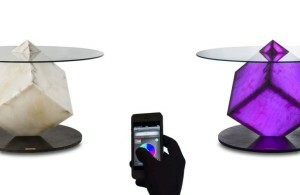 The table allows all dinners to see each other face and eyes, eliminating awkward feel. Thus, socialization and conversation will flow much more easily between them. 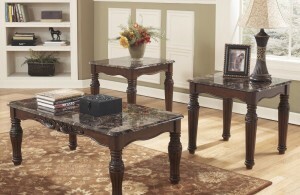 The nonexistence of sharp corners even enables you to place the furniture in any kind of dining room. A table with round shape, however, also has a few limitations. 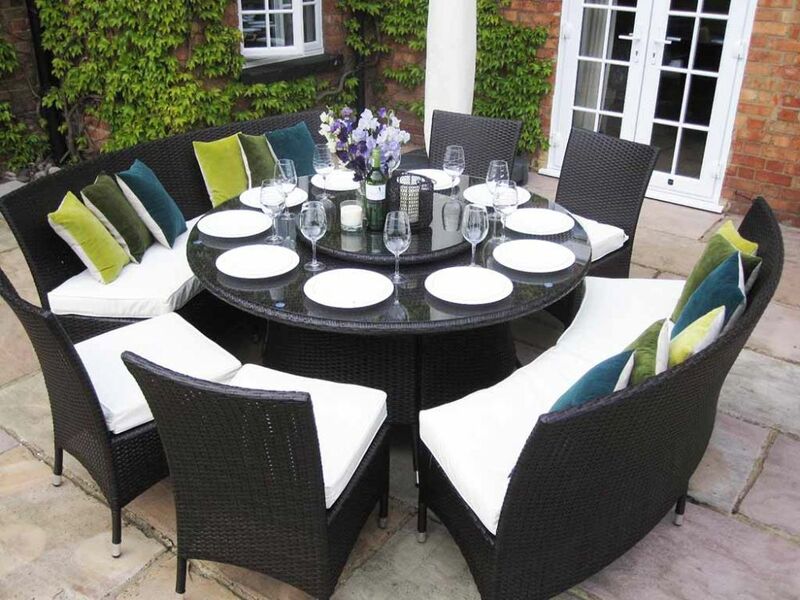 If you want to use a round dining table for 8 or 10 persons, the following are some important things to consider. When holding a large dinner, people traditionally use a long rectangular table because it can accommodate many persons. Rectangular table unfortunately tends to deliver formal impression, it can be an obstacle to evoke intimate or warm atmosphere. The piece has awkward angles that will make some persons to feel stuck or excluded, especially those who occupy corner areas. 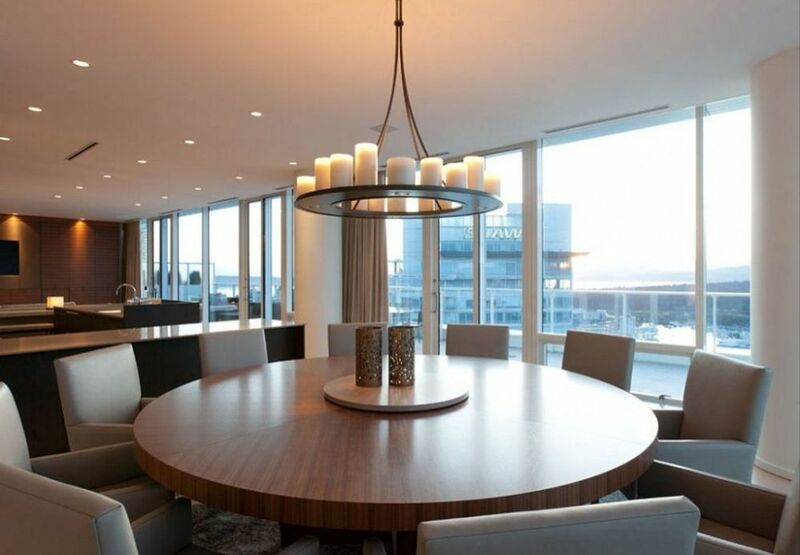 A round dining table is great alternative to eliminate the negative feelings. However, you should know the right size. Use a round table with top measuring about 180 cm or 72 inches in diameter because it’s able to seat 8 to 10 guests comfortably. If necessary, write down the size on a note and take it with you when you’re going to buy a round table in store. The greater a round dining table, the longer the distance from one’s seat to the table’s center. It can be difficult for a guest to reach foods or drinks placed there. If you don’t want to experience such problem, I suggest you to add your large round dining table with a lazy Susan. Another choice is certainly buying a new table which already comes with the practical rotating tray. 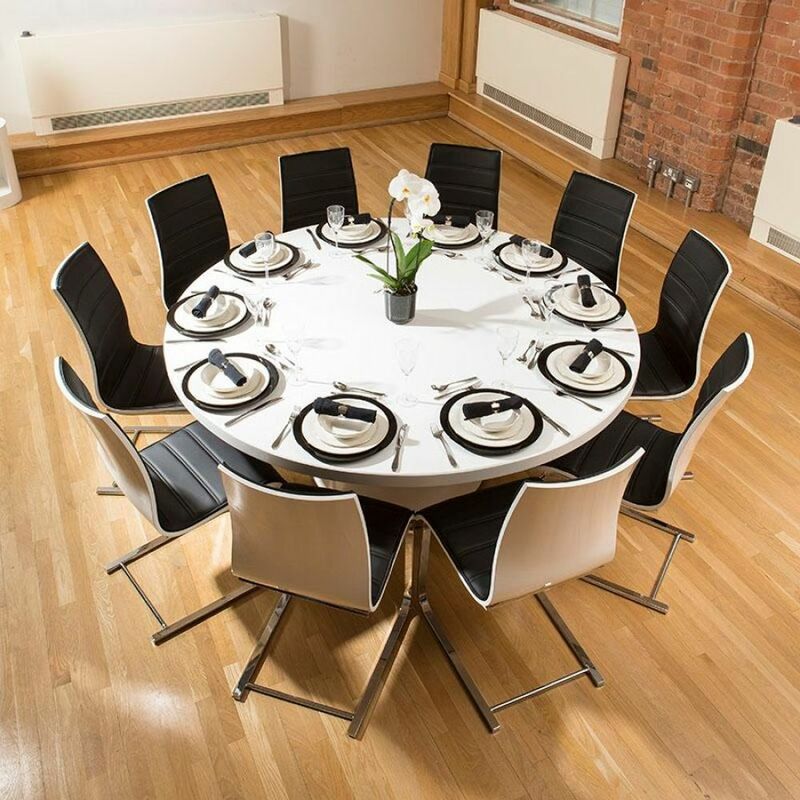 A round dining table for 8 and 10 dinners can fit room with any shape, whether square or rectangular. 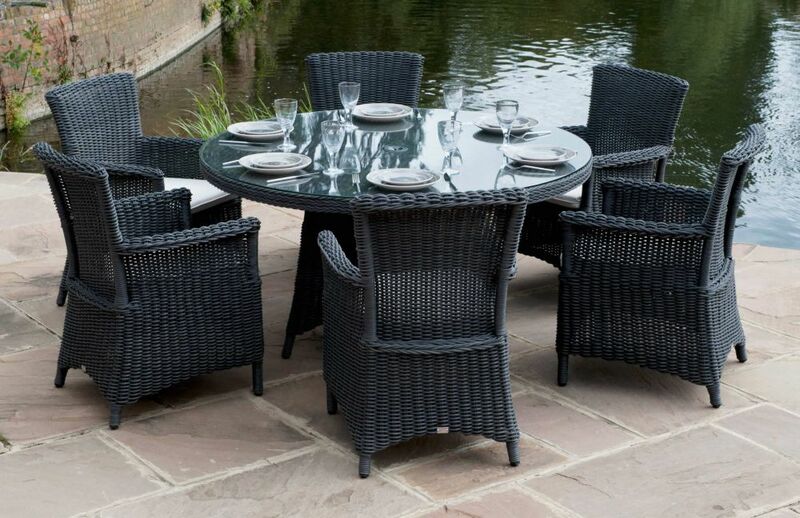 You may also place the table in the backyard or front yard to create a relaxing outdoor dining area for family and guests. Selecting the right chairs is also a very important task to do. 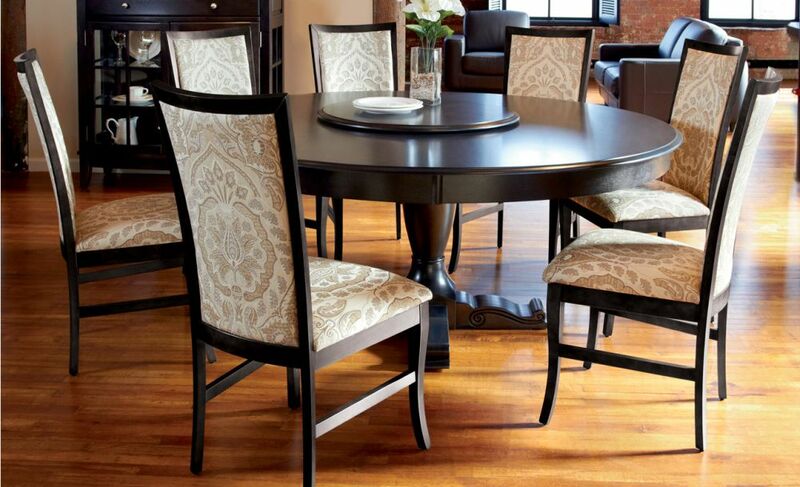 Chairs with wide seats can work very well for a 72-inch round dining table. Leather upholstered chairs result in elegance nuance, while wicker chairs must deliver relaxing ambience. The final decision is in your hands. If you want to get greater beauty in your dining area, adorn the table with a vase of flowers or hang chandelier over it.